This cheese in particular, out of our entire selection, goes out to the finest connoisseurs out there. Its refined taste is simply unforgettable. One would think it was created for the sole purpose of adding that special something to all sorts of recipes. And when you taste it in a dish, it commands attention. The same can be said when it’s served on a table. Our ivory-coloured Le Mamirolle, ever supple and creamy in texture, lays nestled under its golden-orange crust. With its fruity aroma, and its lingering taste, its strength only grows with age. Discover its full taste by serving it at room temperature. 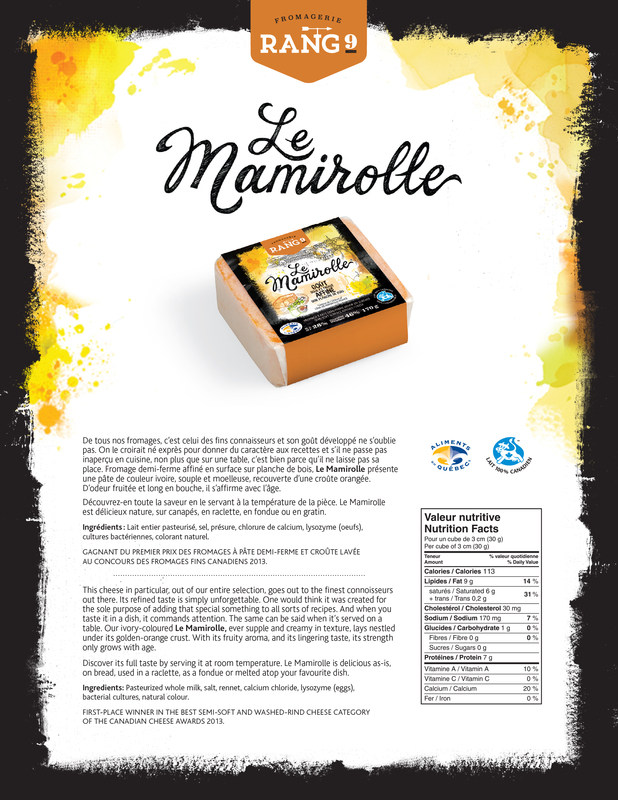 Le Mamirolle is delicious as-is, on bread, used in a Raclette, as a fondue or melted atop your favourite dish. 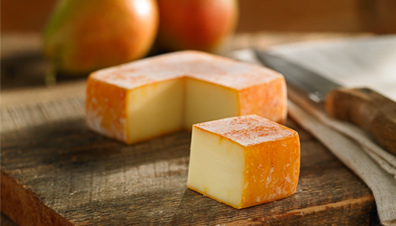 First-place winner in the Best Semi-Soft and Washed-Rind Cheese category of the Canadian Cheese Awards 2013.